Finally got around to making some things for the house. 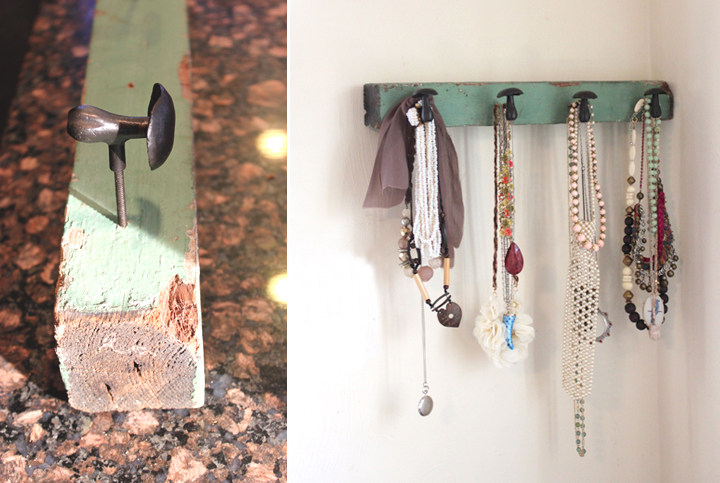 First up, a necklace holder from some pieces I've been collecting. Let's just say I have a lot of pieces sitting and waiting for the right project. One of my favorite types of shops are warehouses filled with architectural salvage. I brought home this piece of wood for the mint hue and patina. This is what I dreamed up. Measure out two even spots on the back for the mounting hardware. 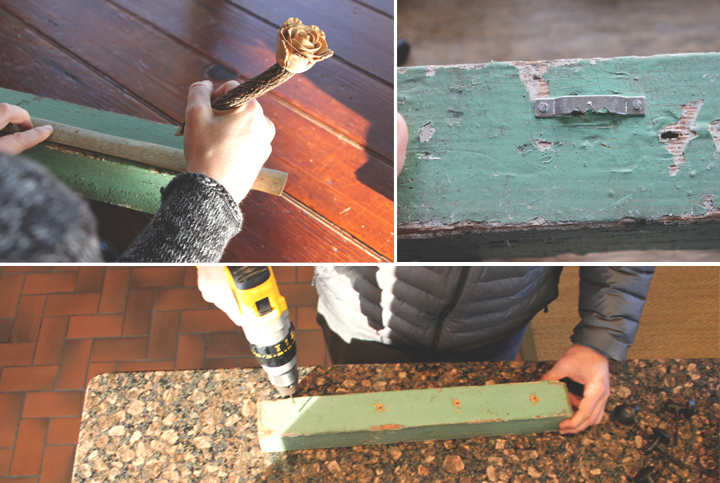 Then, flip it over and drill 4 holes to screw in the drawer pulls. I had these cute mushrooms from Anthropologie. It's more fun that Jay was around to help. He loves using his power tools. We screwed in the 'shrooms and then hung her up in the bedroom above the dresser. 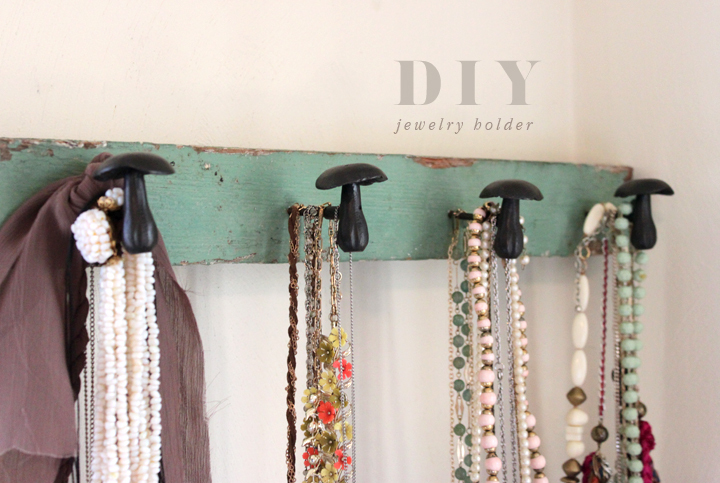 We love how it turned out and it really helped clear the window sill of all my necklaces. I have one of these for my hat collection and jewelry made with hooks. I love the distressed wood you used on yours though. Oh, that's next on the list-- a hat holder! 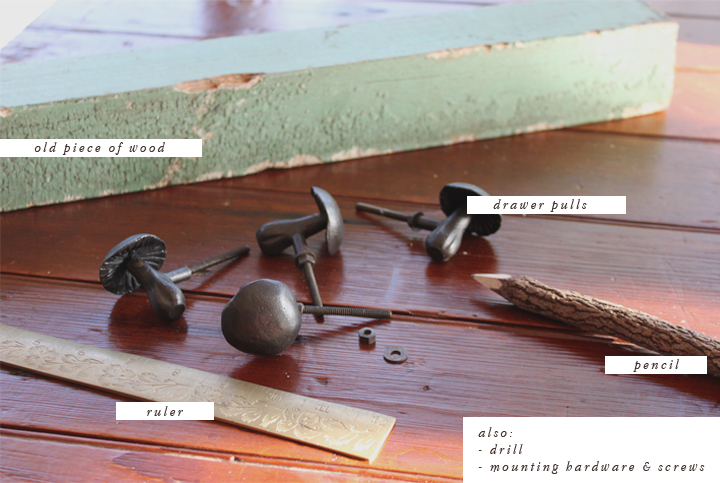 Somehow I have a collection of these hooks/knobs/pulls and they really come in handy.